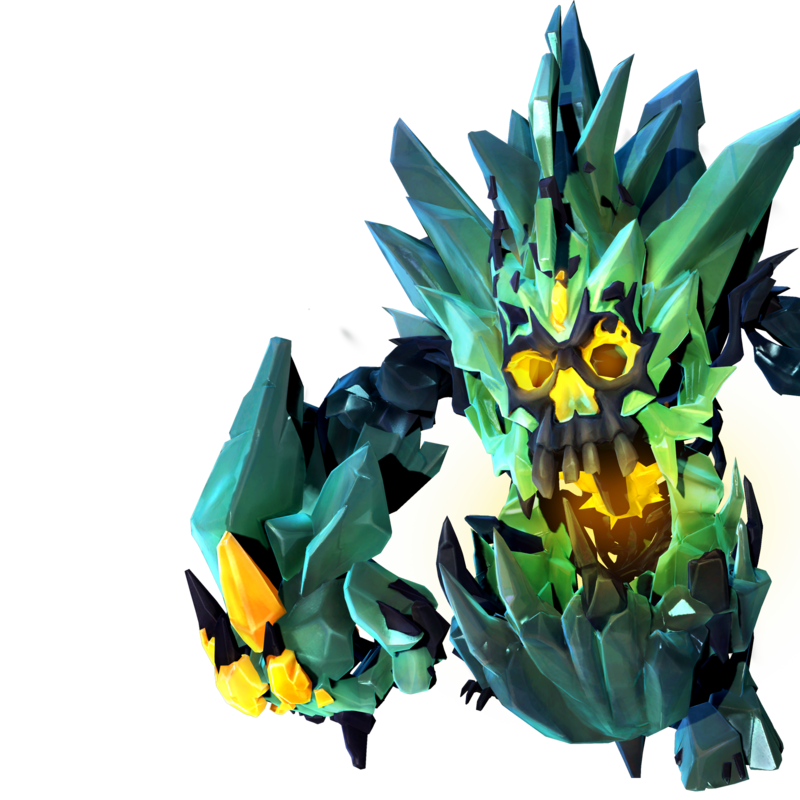 There are many strange beings in Solus, but the ice golem Kelvin is definitely one of the strangest -- a single consciousness emerging from a colony of extremophilic microorganisms. Rescued by Miko, Kelvin now fights for the Eldrid to preserve what's left of the cosmos. Kelvin becomes a cloud of frigid air for a brief time, greatly increasing movement speed. Touching enemies deals damage and stuns them. Bite an enemy, dealing a large amount of damage. If the target is killed, Kelvin gains permanent health. Instantly kills minor enemies. After a short delay, Kelvin creates a temporary impassible Ice Wall that will stun nearby enemies on spawn and block movement. Kelvin gains temporary shield strength after he completes a skill. Kelvin’s primary attack deals damage with a series of melee strikes, while his secondary attack pounds the ground, dealing area-of-effect damage. Damaging an enemy with Chomp increases Kelvin’s movement speed for a short time. The longer Kelvin remains in his Sublimate form, the more his movement speed increases. A portion of Chomp damage is returned to Kelvin as health. Increases the bonus shields imparted by Permafrost. While Sublimated, damaging major enemies increases the skill’s duration. Kelvin’s health regeneration rate increases when he’s near allied Battleborn. Kelvin regenerates health faster while Sublimated. Reduces the cooldown of Chomp, allowing more frequent use. Reduces Ice Wall’s cooldown, allowing more frequent use. Every fourth melee hit applies a brief slow to nearby enemies. Increases the bonus shield strength imparted by Permafrost when Kelvin activates Sublimate. Replaces Sublimate’s stun effect with an icy trail that slows enemies. Chomp deals increased damage against slowed enemies. Kelvin takes reduced damage when Permafrost is active. Killing an enemy with Chomp drastically decreases Sublimate’s cooldown time. Increases the push back effect of pounding the ground. Decreases Sublimate’s cooldown, allowing more frequent use. Increases Chomp’s maximum health bonus damage. Enemies in close range of an Ice Wall are slowed.